Companies use this type of software to help workers perform more effectively and to help managers make strategic decisions regarding assets. 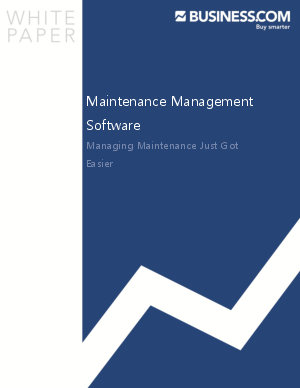 Maintenance management software is used by organizations with needs to maintain equipment, vehicles, assets or property. It is heavily used in the following industries: construction and mining, manufacturing, fleet management, property management, and public works (popular with golf courses too). If your business requires machine operation, or you are warehousing valuable equipment, maintenance management software can help reduce downtime, track costs, and assign personnel to jobs.